Arguably a long way off, the autonomous ship is likely coming. What that means for labor, the stakeholders that prepare mariners to go to sea and the firms that will operate these futuristic vessels is another thing altogether. According to Dr. Jeremy Rifkin, a Wharton professor who has advised the European Union on Sustainability, among other things, we are in the midst of a ‘Third Industrial Revolution.’ It is here where information technology and new energy sources are upending business models that have thrived since the second iteration – the era of electricity, fossil fuels and mass production in central locations. 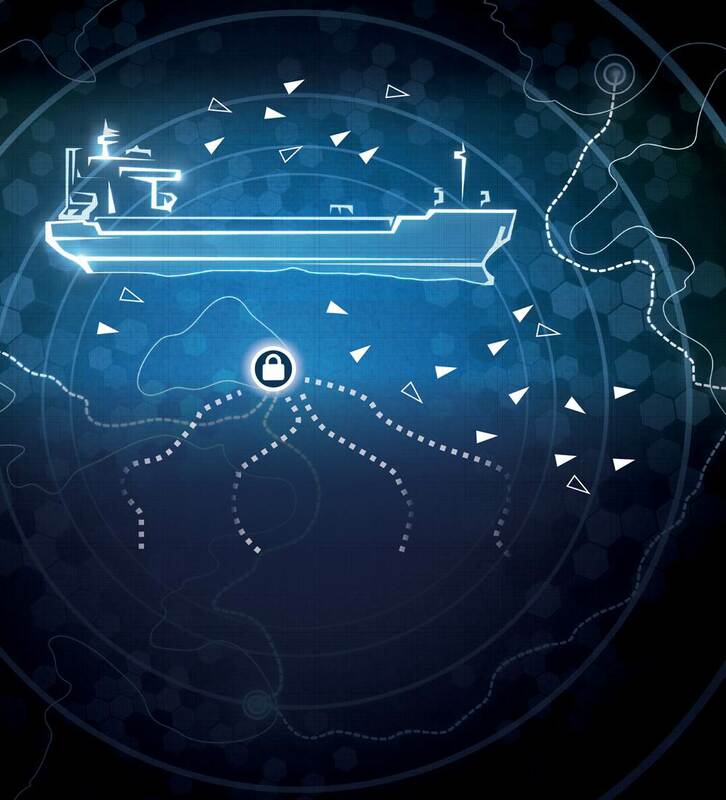 The maritime world has seen numerous glimpses into the future, with technologists offering their visions on ships of the future, often driven by both economics and the emissions of energy. Though the implications for shipping are profound, there has been much less thought given to the human aspect of the autonomous vessel. 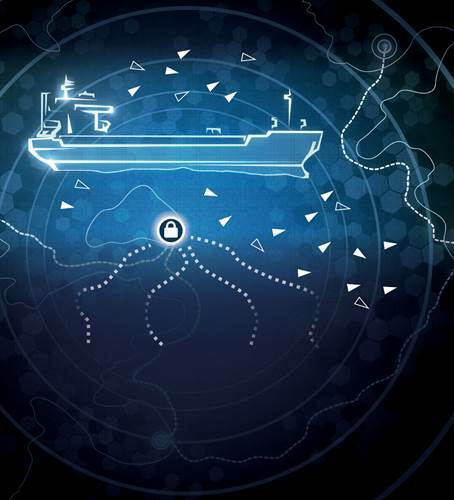 It is a telling coincidence that the release of the LR report coincided with an announcement by Rolls Royce that it will be utilizing bandwidth supplied by Inmarsat as it further advances its Advanced Autonomous Waterborne Applications Initiative (AAWA). Plainly speaking, this project is about developing vessels that would be remotely controlled from the shore. 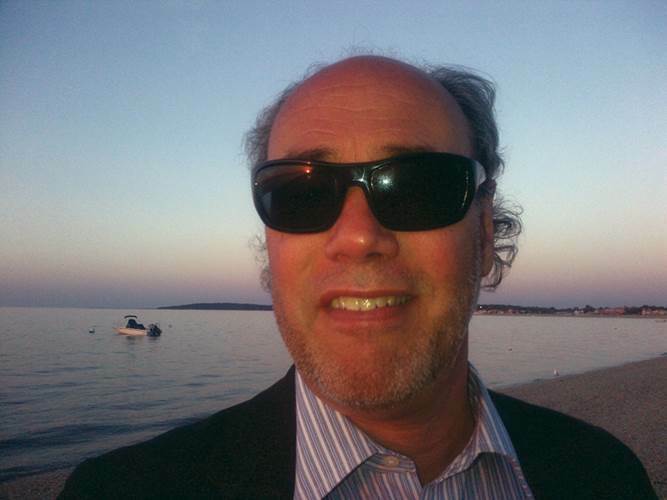 Oskar Levander, Rolls Royce Vice President of Innovation, Engineering and Technology, asked rhetorically, “Given that the technology is in place, is now the time to move some operations ashore? Is it better to have a crew of 20 sailing in a gale in the North Sea, or say five in a control room on shore?” Ronald Spithout, President of Inmarsat Maritime, explained that: “Fleet Xpress (the platform being deployed in AAWA) will enable the ship-to-shore communications required to support the remote control functionality fundamental to the realization of the autonomous ship.” The AAWA project, now benefiting from a €6.6 million funding infusion from the Finnish Funding Agency for Technology and Innovation, shows that the voyage towards 2030 (where LR chose to take its snapshot of the future) is well underway. LR and their colleague authors recognize the dualities surrounding technological advancement, saying: “Technology, of course, is a double-edged sword and has the power to deliver great benefit, but can also introduce both direct and indirect threats to industries, states and economies.” This sword is arguably pointed directly at the human element. While Rolls Royce (and others) focus on the technologies, the view from LR also tackles manning issues, and emphasizes changes in required skill-sets for seafarers. One section of the report acknowledges a growing manpower shortage when it comes to maritime skill sets that the ‘fourth revolution’ will require. The authors write, “There are over 104,000 ocean-going merchant ships. The shortage of highly-qualified sea-going staff is an increasing concern, especially as ships become more complex due to environmental requirements. The lack of gas engineers is quoted as a major barrier for the gas-fueled shipping transition.” Last year, in LR’s report, on Global Marine Fuel Trends - 2030 (written in conjunction with researchers at University College London), the various forecasting scenarios consider the increased shares of LNG fueling, but also look at methanol and hydrogen fueling- both of which would require expertise not found in the maritime sector. As the knowledge workers complete the shift away from greasers and oilers (who, in turn, replaced coal stokers of the original Industrial Revolution), it’s envisioned that machines will handle these lower skilled jobs. LR takes the view that “With faster technological advances, there will be a move towards delegating authority from the human operator to the machine. Machines will perform many more of the tasks which are considered dull, dirty and dangerous to achieve a higher level of safety and efficiency.” Maritime security, to be handled by “Repellers,” falls into the “dangerous” bucket. Clearly, there are choices here, leaving room for certain owners to carve out their brands as people-friendly, or not. 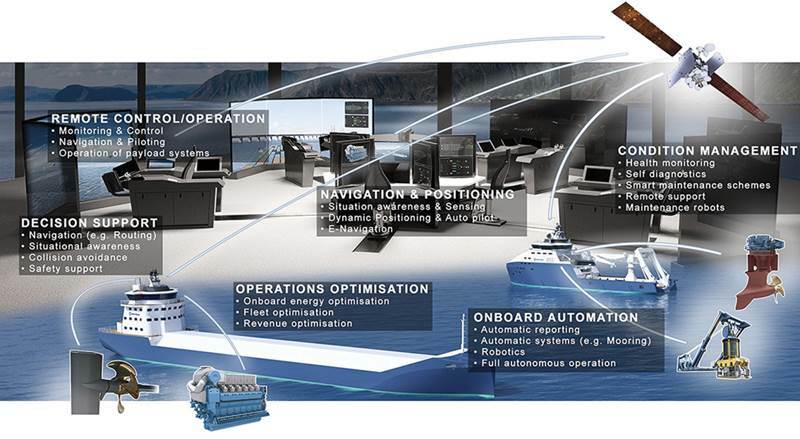 The report adds, “There are varying degrees by which a human can delegate responsibility to a machine, depending on the nature of the task and goal they wish to accomplish, and depending on the levels of automation and autonomy built into a ship.” This observation brings perspective to the comparison with Rolls Royce, with its AAWA project representing one view in the spectrum of commercial shipping automation. Leadership at shipping companies, maritime academies and training institutes serving the industry will no doubt either marvel at all the new technologies as they read through the LR report, or dismiss them as fantasy. The latter attitude is probably a mistake. When reading the chapters on commercial shipping, all stakeholders need to be thinking very hard about the implications for their companies, and/or for the welfare and safety of the cadets and officers being prepared for the ships of the future. Anyone who doubts that the ‘autonomous’ revolution is coming to the waterfront only need look to the U.S. military, where young officers are already thinking about moving away from becoming fighter pilots as they watch drones increasingly do the lion’s share of remote bombing and surveillance work. Could this shift in job perceptions presage a similar move in the maritime arena – where changes may take longer, but will impact employment roles nevertheless? Advances in waterborne shipping for more than 50 years were measured primarily in deadweight, LOA, beam and draft. That’s about to change, albeit slowly. The ship of the future will likely be measured by the number and quality of the bells and whistles that make it float. And if this is indeed the case, the quality of the professionals running it will be even more important.